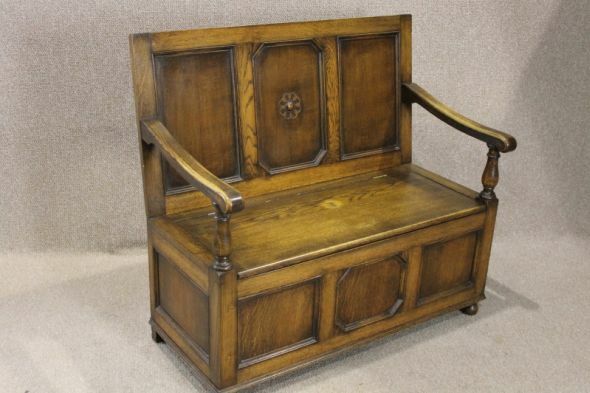 An extremely useful piece of classic English furniture. This settle, based on an earlier design, has a large panel back section with decorative panel to centre. It features out swept side arms, and a large lift up seat that reveals a storage area for boots, shoes etc. This piece is in lovely condition for its age, with just a few small marks and general wear and tear to the polish work. An ideal piece for any hallway, boot room etc.